Hawaiian Ice is much different from typical shaved ice in that it is made by a small counter-top machine that shaves ice rather than grinding it like a snow cone machine. The result is ice so fine that it rivals real snow! The snow is then placed in a bowl and drenched with tropical flavored syrups. 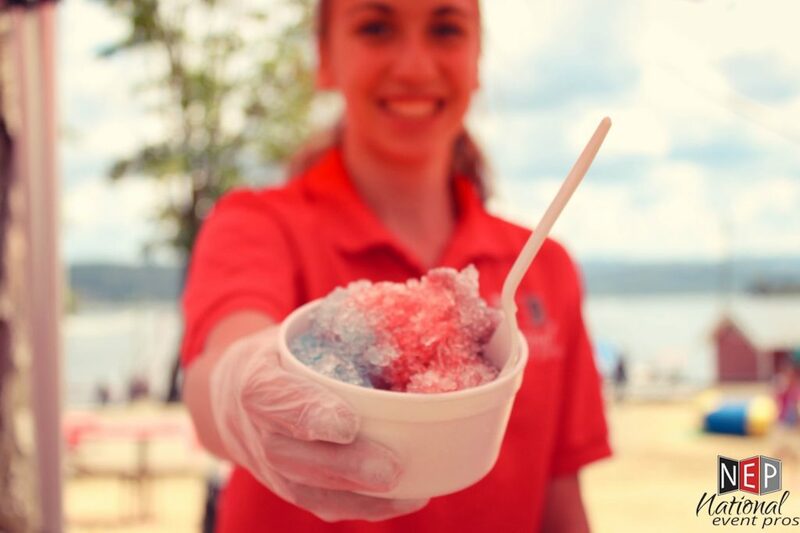 Because the shaved ice is so soft and powdery, the syrup is held within its texture, rather than settling to the bottom like in traditional snow cones. Since the syrup is absorbed into the snow, it must be eaten with a spoon instead of a straw.